The exodus from Detroit-Hamtramck Assembly and Lordstown Assembly continues with another 240 employees from those facilities accepting transfers to other GM factories. The moves come after GM proposed late last year to idle production at five North American plants, which was part of a massive restructuring by the company in hopes of saving the Detroit automaker $6 billion by 2020. So far, 943 workers have decided to transfer, with 567 transferring from Detroit-Hamtramck and another 372 from Lordstown. While sedan sales are plummeting, crossovers, SUVs, and pickup trucks are seeing a sale bonanza, giving affected workers the opportunity to move to new factories. Many of the Detroit-Hamtramck employees—about 530—have accepted transfers to GM’s Flint Assembly plant, according to The Detroit News. There, GM is adding 1,000 new jobs to build the new Chevrolet Silverado and GMC Sierra heavy-duty trucks. Ninety-three employees from Lordstown have also accepted transfers to Flint. However, a majority of Lordstown employees are heading south to GM’s Spring Hill Assembly in Tennessee. There, the automaker builds the Cadillac XT5, Cadillac XT6, and GMC Acadia. The company is seeing 132 Lordstown employees transferring to Spring Hill with others transferring to Toledo Transmission, Fort Wayne Assembly, and Bedford Powertrain. 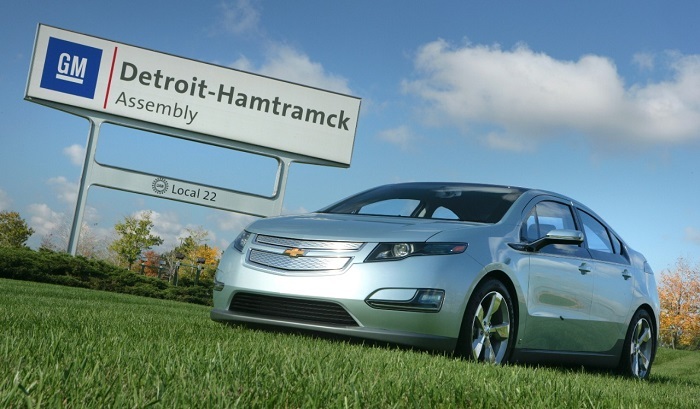 When GM announced its proposed restructuring that also called for the discontinuation of several low-selling models and layoffs across all levels of the company, many were shocked, including employees of Detroit-Hamtramck Assembly who learned of the proposed closure of their factory through the news. Politicians scrambled to criticize the automaker while both the United Auto Workers Union in the U.S. and Unifor in Canada denounced the move with Unifor going so far as to call for a boycott of Mexican-built GM vehicles along with holding sit-in protests and a media blitz that has drawn the ire of GM. Last year, GM said it had 2,700 job opportunities at other plants for the 2,800 hourly employees that would be affected by the company’s plans to idle the five plants. The hourly layoffs are just one part of the company’s strategy to save money. The company is also laying off roughly 4,250 salaried employees to reduce its executive staff by 25 percent and salaried workforce by 15 percent. Those layoffs began Monday. This may be a little extreme, but will we see the day when auto workers will be a new class of migrant workers?